Just a single malware infection can bring down an entire business by uncovering your financial information through a breach, or by preventing the complete business network from functioning. Do you have a solution to address such as malicious interference? 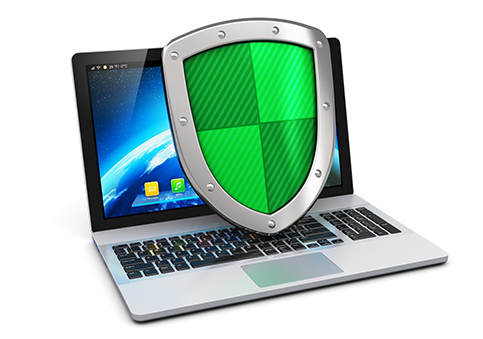 All that you require is an antivirus software that suits the best to counteract against the malicious threats. Antiviruses have been developed to protect Windows 7 OS. Comodo Internet Security is considered to be the the best antivirus for windows 7 with 360° security assurance against all threats and outside dangers, by consolidating a capable antivirus, a packet class bundle firewall, and a Host Intrusion Prevention System called HIPS. The 'Safe Shopping' feature enables you to perform banking and shopping over the internet without exposing sensitive data like credit card numbers and passwords to the hackers. The 'Virtual Desktop' allows you to open applications and sites that you are uncertain of in a protected domain confined from your computer. Built in URL filtering ensures to stop malware sites to safeguard you while on the web. Utilized independently, each of these parts conveys prevalent assurance against their particular danger challenge. Utilized together as a full suite, they give a total 'aversion, identification and cure' security framework for your PC. - Proactive antivirus system that consequently distinguishes and wipes out infections, worms and other malware. - Highly configurable packet filtering firewall that always shields your framework from inbound and outbound Internet assaults. Regulation - Authenticates each executable and process running on your PC and keeps them from taking activities that could hurt your PC. Unrecognized procedures and applications will be auto-contained and keep running under an arrangement of confinements so they can't hurt your PC. This gives untrusted (yet innocuous) applications the flexibility to work while untrusted (and conceivably malignant) applications are kept from harming your PC or information. Host Intrusion Protection System (HIPS) - A standards based interruption anticipation system that screens the activities of all applications and procedures on your PC. HIPS stops the activities of noxious projects by stopping any activity that could make harm your working framework, framework memory, registry keys or individual information. VirusScope - Monitors the exercises of procedures running on your PC and alarms you on any malicious actions that can harm your system. Utilizing an arrangement of conduct 'recognizers', VirusScope distinguishes unapproved activities and also enables you to fix them completely. Virtual Desktop - The Virtual Desktop is a sandbox working condition, within which you can run projects and peruse the Internet without worrying that those exercises will harm your PC. Highlighting a virtual console to foil key-lumberjacks, home clients will find the virtual work area is suited to banking on the internet . Business clients will welcome the capacity to run beta-programming in a secure domain. Secure Shopping - Offers insurance for web-based managing of accounts and shopping. Highlights incorporate process seclusion, remote takeover assurance, screenshot blocking, memory-scratching avoidance and free SSL declaration check. Site Filtering - Protects you from phishing websites while surfing the 'net and enables you to create or generate standards to keep particular clients from getting to specific sites. Save Disk - Built-in wizard that enables you to exploit a boot-disk which will run antivirus filters in a pre-Windows/pre-boot condition. Cloud Backup - Back-up your vital information to Comodo's secure servers. Information is encoded and can be accessed only by the client from any Internet associated PC. Considering all the above features, Comodo Internet Security is the best and commendable solution to protect the Windows 7 system from known, unknown and even zero-day malware threats. Great comodo's product is fantastic.